Now THIS is how smart Spotify promotion looks like! Playlists are the beating heart of the streaming service, and by featuring your track in there you'll get visibility and actual streams, which count towards your royalty payments. With this professional Spotify promotion service, you get to add one song or track on several premium Spotify playlists, which will be held there for 3 months and be streamed every day. This specific pack gives you 50 playlists for three months. With guaranteed 24/7 streaming, this amounts to about 2500-5000 streams a day. During three months you will get 225 500-450 000 high retention monetizable worldwide plays, with guaranty. Within 5 days after your order & payment, we'll send you proof links of your track up there in the streaming cloud. Feel free to come back every day to see how it feels to see that stream count rise steadily (spoiler: it feels real good!). 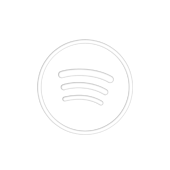 Own Spotify music promotion today, with our safe, legit and super easy to use service. Playlists may not have subscribers, we generate traffic and delivery of plays through various advertising companies, using target music groups, blogs, partner's music platforms and other ways of involving the target audience. One song, *45* playlists. Premium Apple Music account. Streamed 24/7, 400-800 streams a day. Delivery: 5 days.